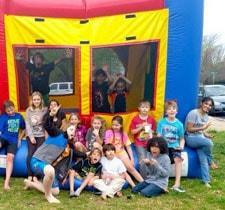 Thank you for visiting the new Austin Bounce House Rentals website; Austin's best choice for high quality inflatable attractions and party equipment. 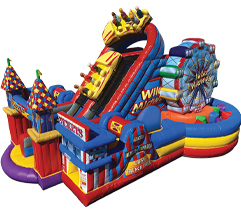 Here you find a large selection of exciting bounce house, bounce & slide combos, water slides, inflatable dry slides, obstacle course, concession machines, and so much more! 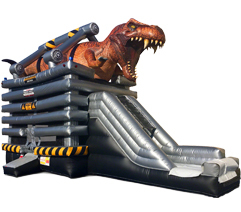 Our goal is your complete satisfaction in your party rental experience, so you can count on your rental order showing up on time, exactly as you ordered, and all equipment cleaned and sanitized. 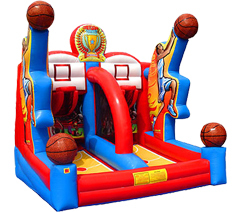 We provide party rental delivery service throughout the greater Austin Texas area and its surrounding communities like Round Rock, Georgetown, Cedar Park, Leander, Pflugerville, Hutto, Windemere, Webberville, Manchaca, Buda, Dripping Springs, Driftwood, Wimberley, Kyle, Bee Cave, West Lake Hills and many more. 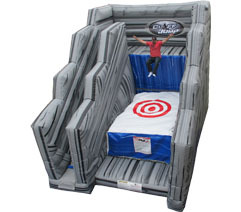 See our delivery area page for complete details. 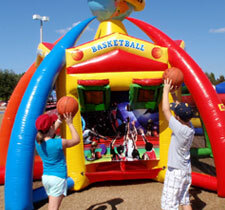 Making your reservation at AustinBounceHouse.Rentals is easier than ever with our new online ordering system. 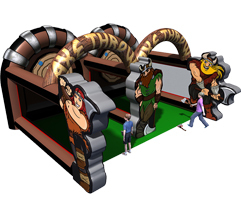 Simply click the "Order By Date" button below and enter your event date and times. Then as you browse all the categories and items, you will be presented with those products that are available one selected date. This is the fastest way to get exactly what you want, when you want it. 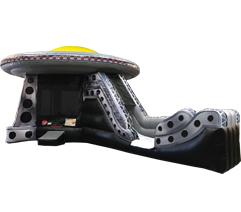 Like us on Facebook, and get access to valuable coupon codes. See What's Hot for 2019! ABHR Will Rock Your Party! 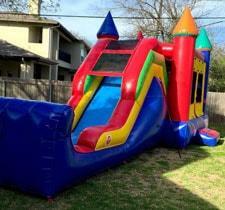 If you're looking for a bounce house rental in Austin or surrounding areas, you've come to the right place, the best bounce house rentals in Round Rock TX. For the most fun in Austin moonwalks are the answer. See them all now! 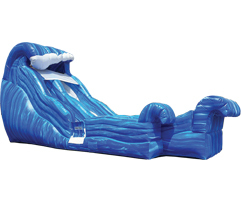 Rent austin's most popular inflatables with one of our bounce and slide combos. 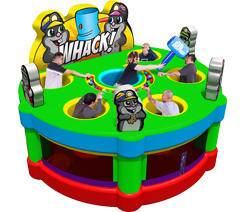 These awesome bouncers not only have the popular bounce house, but you'll get additonal exciting features like climb & slides and more! 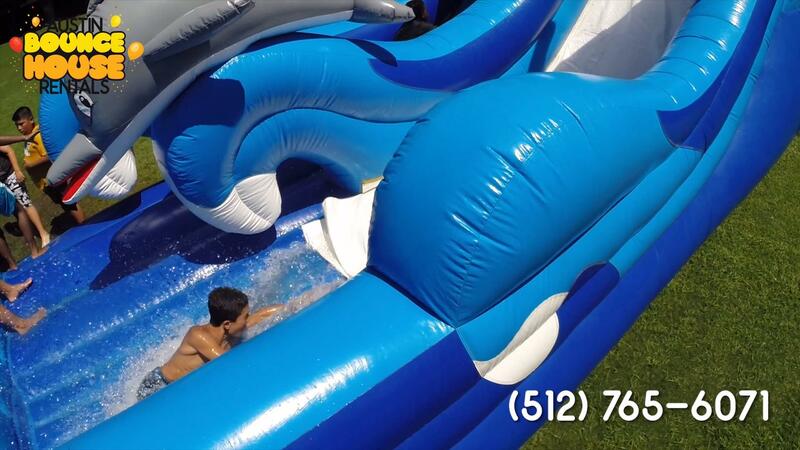 What better way to add the "Cool Factor" to your event than with one of our exciting water slide? 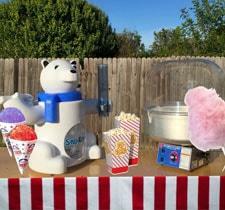 Voted Kid's favorite in Austin! 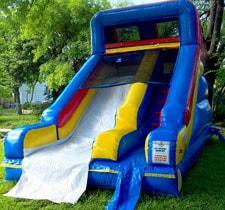 austin Bounce House Rentals also has bounce & slide combos that are approved for water use. 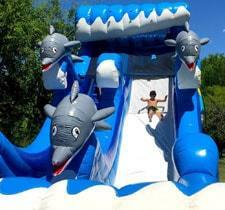 Our inflatable dry slides are the perfect solution when water use is not appropriate. 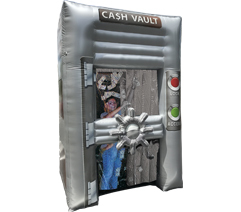 Great for indoor events like school fun days and church group celebrations. 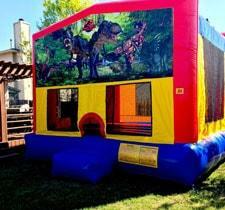 Austin Bounce House Rentals will make your party a success! We have not forgotten about your little ones! Toddlers are lots of fun as they begin to get their bearings on balance, walking, climbing and other coordinated activities. This is an essential stage of their physical development and exploration. 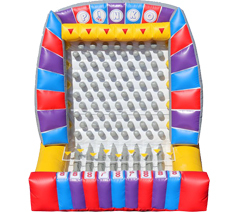 Great for school fun days, church carnivals, city-wide festivals and company picnics, carnival games bring the old fashion midway feel to any event. 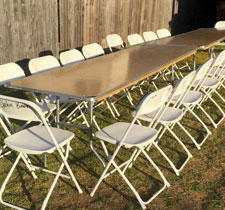 These simple skill games have been providing family fun for decades and are inclusive for all age groups. Great Customer Service and Great Communication and Very Professional and delivery was on time and setup was great and delivery guy was awesome. 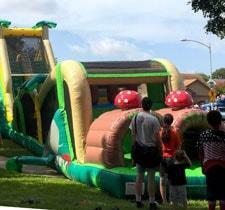 Very good service clean and lots of fun Danny did a great job thank you for Monster High Bounce house. Excellent! Clean, timely and great customer service. I'll use their services again, for sure! Great service!! We put 100% into every party we do. Excellent experience today, THANK YOU! !